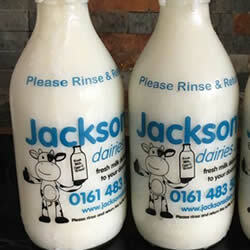 Jacksons Dairy provides milk in both Plastic and Glass milk bottles to homes and business in the Stockport, Cheshire, Manchester and the North West. However our preference is to keep our provision of milk in the classic glass milk bottle. There is something reassuring about fresh milk (and other dairy products) being delivered to your doorstep. The early morning clinking of milk bottles in crates on the back of the electric milk float, is ingrained in the British psyche. But you want your milk in glass bottles, it seems that your doorstep is too posh for PET. This Jacksons Dairy article looks at Plastic and Glass milk bottles. PET or polyethylene-terephthalate are convenient for the amount of fresh milk they contain, however the environmental impact of PET is quite considerable. That is if PET bottles and containers find their way to landfill tips and aren’t recycled. Luckily there are more and more recycling points in the UK, nearly every large supermarket has a plastic bottle recycling bin, and some more enlightened councils provide home owners with plastic recycling bins alongside your other kerbside collection bins. Jackson’s uses a pioneering new material for it’s plastic containers using recycled plastic from local authority kerbside collections. rHDPE stands for “recycled High-Density Polyethylene”. Just like with glass we are aiming for “bottle to bottle” recycling. We are aiming for 30% recycled content in new rHDPE plastic bottles in the next year. There is one more advantage of the new technology platsic bottles – they are lighter than glass so it requires about 40% less fuel to transport the same amount of liquid, that’s quite a saving. Glass milk bottles are used on average 13 times before they are sent for recycling into more milk bottles. So a pint of milk may not have the initial volume of its PET counterpart, it has longevity and just keeps coming back. Although there has been a steady decline in door step delivery of milk, there has been a recent move for local produce and lower carbon footprint in our products (better on the environment). At Jackson Dairy we do not needlessly transport milk over the country, we have dedicated local farmers that maintain our daily raw milk production. This maintains our dairy to supply you with fresh local milk. Order Fresh milk on your doorstep! 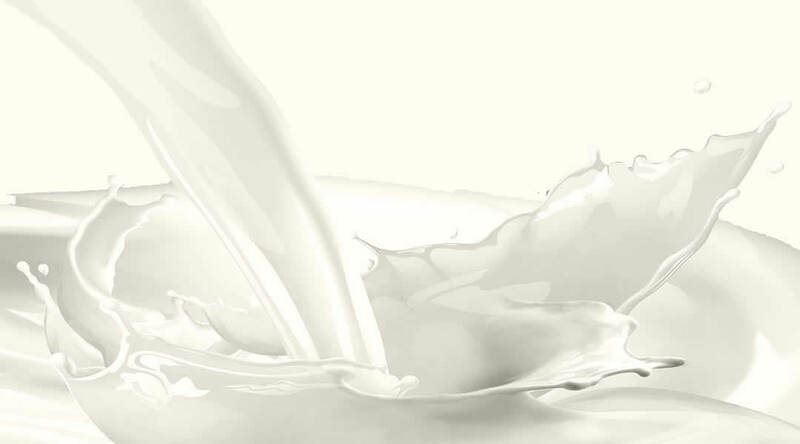 To order your doorstep fresh milk delivery call the dairy on 0161 483 5055.